While most gallery exhibitions are open for all ten days of Asia Week New York 2018, which runs March 15–24, several will not be open every day. And a few will stay open past March 24! 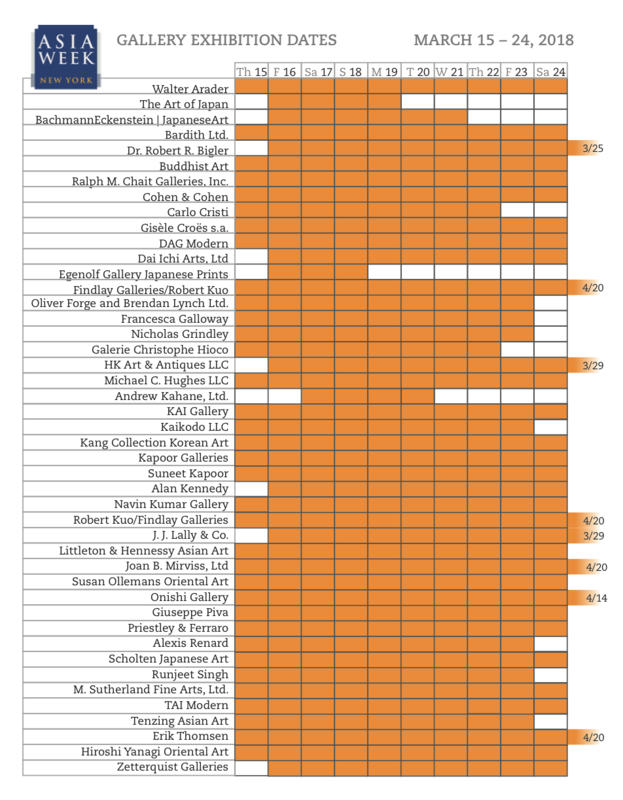 We've created a handy graph with exhibition dates for all 45 participating dealers. If an exhibition is open past the last day of Asia Week New York, the closing date is listed at far right.